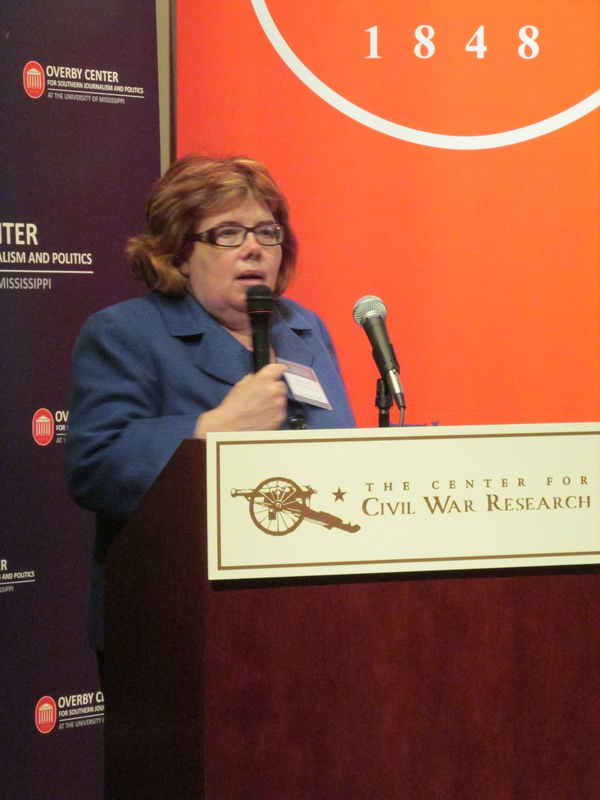 The Center for Civil War Research established the Wiley-Silver Prize in Civil War History in 2011. The Center presents the prize to the best first book, thereby recognizing and encouraging new and emerging scholars in the history of the American Civil War. The prize is named for two distinguished former members of the University's History Department faculty, Bell Irvin Wiley and James W. Silver. Scholars awarded the prize receive an invitation to the University's annual Conference on the Civil War, held in October. At that meeting, the prize and $2000.00 is awarded to the honoree. In addition to press releases, the Center also purchases advertising space in the field's two journals, Civil War History and The Journal of the Civil War Era, as well as The Journal of American History to announce the winning entry. Click here for more information on submitting a book. Matthew Stanley is the recipient of the 2018 Wiley-Silver Prize for best first book in Civil War history. 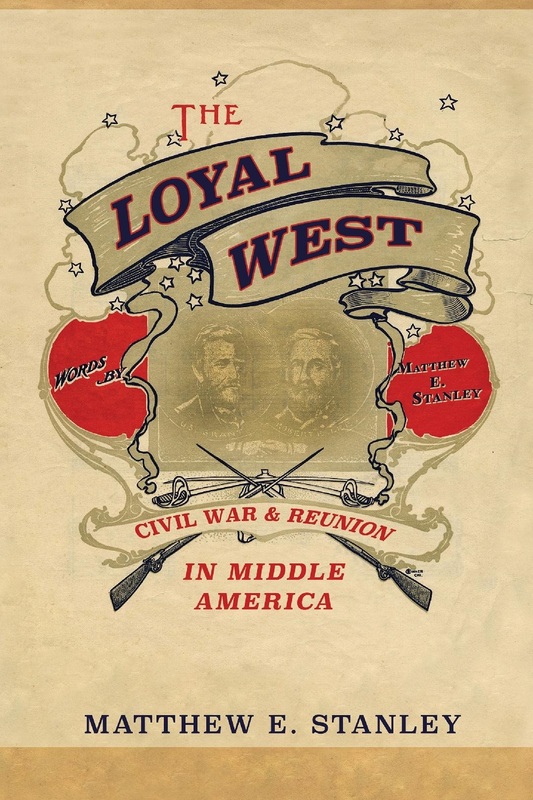 Stanley's book, The Loyal West: Civil War and Reunion in Middle America, was published by the University of Illinois Press in 2016. Stanley's book examines the role the Lower Middle West played in the development of white reunion at the end of Reconstruction. This area was significant in the development of white reunion because of the prevalence of anti-black, anti-eastern, and anti-rebel attitudes. The region's rejection of Reconstruction also influenced politics throughout America. Dr. Stanley earned his Ph.D. from the University of Cincinnati in 2013, and is currently an Assistant Professor of History at Albany State University. Matthew Hulbert is the recipient of the 2017 Wiley-Silver Prize for best first book in Civil War history. 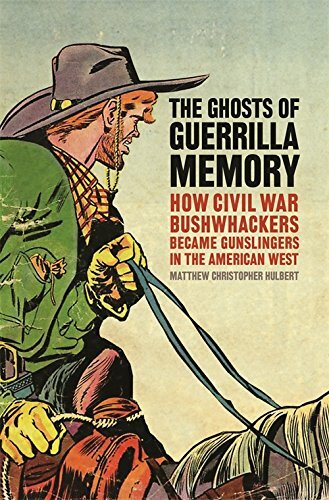 Hulbert’s book, The Ghosts of Guerrilla Memory: How Civil War Bushwhackers Became Gunslingers in the American West, was published by the University of Georgia Press in 2016. It is the first book to analyze the memory of the guerrilla Civil War on the Missouri- Kansas border, connecting Confederate bushwackers to American imperialism in the west. Dr. Hulbert earned his Ph.D. from the University of Georgia in 2015, and is currently a lecturer of History at Texas A & M - Kingsville. 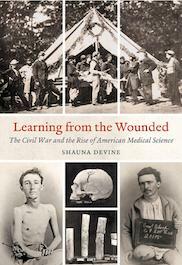 Dr. Shauna Devine is the 2015 recipient of the Wiley-Silver Prize for her book Learning from the Wounded: The Civil War and the Rise of American Medical Science. Devine's research argues for the importance of Union physicians and surgeons, the "unsung heroes" of the Civil War, to both the war effort and the development of modern medical science. These army physicians pioneered new techniques of diagnosis, treatment, and experimentation during a period of unprecedented military and health crisis. Devine makes the case that these innovations not only saved lives and ameliorated suffering, but provided the crucial foundation for modern medical studies and practice. Dr. Devine received her doctorate from The University of Western Ontario in 2010 and is currently an assistant professor at Western University. 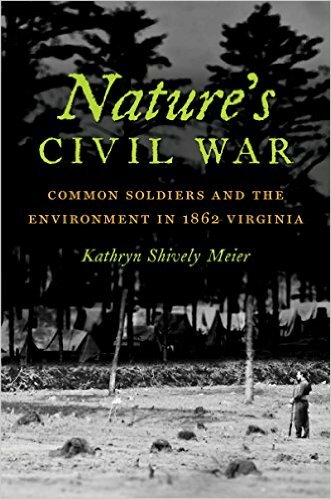 Dr. Kathryn Shively Meier is the 2014 recipient of the Wiley-Silver Prize for her book Nature's Civil War: Common Soldiers and the Environment in 1862 Virginia. Meier's work provides a fresh new perspective on the Shenandoah and Peninsula Campaigns, detailing the unfamiliar and harsh environmental conditions both Union and Confederate troops faced as they attempted to wage war. As soldiers built informal networks of healthcare rooted in their prewar experiences, they likewise had to adjust their ideas of race, class, and masculinity in order to survive amidst arduous conditions. Meier argues that soldiers often relied on self-care rather than the unreliable military medical infrastructure- a decision that challenged army discipline and changed definitions of health care. Dr. Meier received her doctorate from The University of Virginia in 2010 and is currently an assistant professor at Virginia Commonwealth University. Dr. Glenn David Brasher is the 2013 recipient of the Wiley-Silver Prize for his book The Peninsula Campaign & the Necessity of Emancipation: African Americans & the Fight for Freedom. 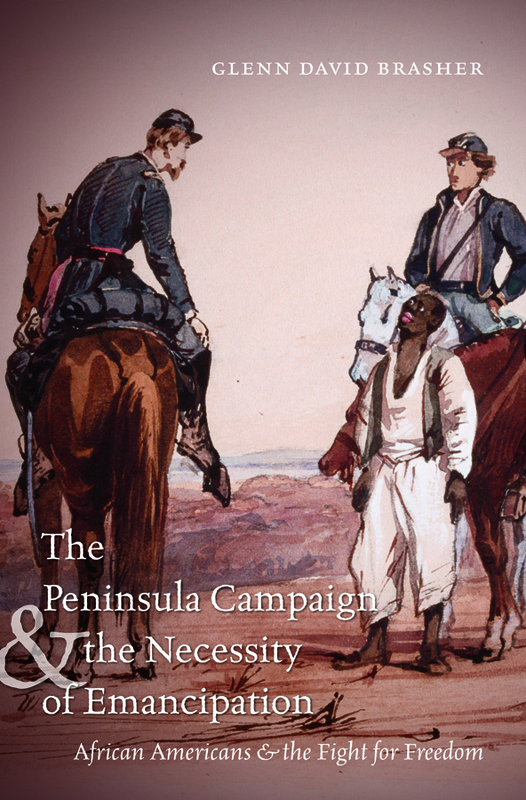 Brasher's research is a powerful reevaluation of the Peninsula Campaign and the push for emancipation. The campaign was General George B. McClellan's failed attempt to take Richmond, the Confederate capital. Brasher argues that the participation of enslaved African Americans in the campaign did more to enact emancipation than the Battle of Antietam, as previous historians have asserted. Northerners became increasingly sympathetic to emancipation as a necessity of the war effort after the Peninsula Campaign. The military action also spurred President Abraham Lincoln to issue his Emancipation Proclamation in 1863. Brasher successfully demonstrates the importance of the Peninsula Campaign and the participation of the enslaved in the war for their freedom. Dr. Barbara Gannon recieved the Wiley-Silver Prize for her book, The Won Cause: Black and White Comradeship in the Grand Army of the Republic. Her book explores the role of comradeship in fostering interracial cooperation in the GAR. Their sense of camaraderie, she says, was strong enough to overcome racism and even facilitated the creation of a new, interracial Civil War memory in opposition to the Lost Cause—the “Won Cause.” Together, black and white veterans came to remember the Civil War as a war not only for the Union, but for emancipation as well. Gannon received her doctorate from Penn State in 2005 and is currently an assistant professor of history at the University of Central Florida. Bell Irvin Wiley, born in 1906, joined the University of Mississippi's history department in 1938 and worked alongside Silver until departing for military service in 1943. Wiley served as a First Lieutenant and historical office in the Army Ground Forces Headquarters in Washington, D.C. Wiley is renowned for his The Life of Johnny Reb (1943) and The Life of Billy Yank (1952), as well as a number of other influential works in Civil War and southern history. By the time of his death in 1980, Wiley had accumulated more than 50 years of classroom experience and had authored, co-authored, and edited 24 books while serving at universities such as the University of Southern Miss, Louisiana State University, and Emory University. Serving as a history professor at the University of Mississippi from 1936 to 1964, James W. Silver was an established and respected figure on campus. Silver, born in 1907, served as chair of the department from 1946 to 1957. Although Silver is best known for his influential Mississippi: The Closed Society (1964), Silver was also a historian of the Civil War. He is the author of Confederate Morale and Church Propaganda (1957) and A Life for the Confederacy (1959). Silver would end his teaching career at Notre Dame.